Internet memes are cultural ideas that spread virally throughout the Web. 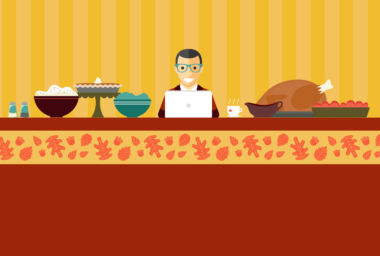 In 2012, these Internet pop culture snippets rapidly rose in popularity and power as they captured the moments that got everyone talking, tweeting, mocking, and rocking. 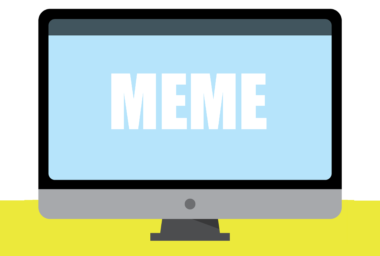 To recall the most memorable memes of the year, MDG Advertising developed an entertaining infographic featuring the four Internet memes that took over the Web and the world. It offers a look at the photos and videos that caught our attention and explains why these moments became iconic images of our time. 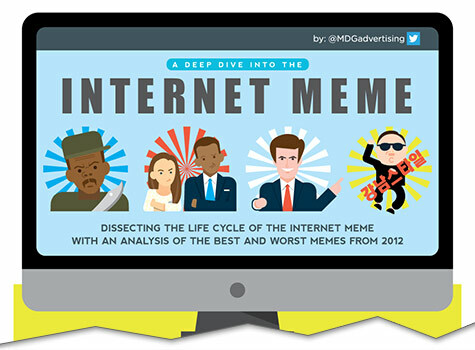 Check out MDG’s infographic to see the year’s Internet memes that made laughable, lovable, and lasting impressions. One of the most widespread memes was the Kony 2012 social media sharing blitz. For this viral video campaign, the Invisible Children nonprofit organization posted a video promoting the capture of the notorious war criminal Joseph Kony and urged viewers to spread the word to certain celebrities and political powerhouses via Twitter. This sparked a spike in total video views to reach 9 million in a single day and hit 100 million in less than a week to set a new record for the most viral online video. Since young adults were the target audience, social media proved to be the perfect way to reach and resonate with this market. While the campaign gained massive attention, the meme was ultimately deemed unsuccessful due to rampant criticism and controversy. The infographic also features the famous face of McKayla Maroney, the United States Olympic gymnast whose scowl over her Silver medal on the award platform became one of the most mocked memes of the year. Her grimace during a moment of glory spread through the Web like wildfire and inspired countless Photoshopped images of her face inserted into iconic photos, as well as hilarious Halloween costumes and personal comparisons by other famous faces. Then, the infographic goes on to recall Mitt Romney’s campaign-changing comment regarding his “binders full of women.” In the second presidential debate, the candidate made a huge gender gaffe with an offhand remark about pay equity during his time as governor. Moments after uttering that fateful phrase, the Web was flooded with parodies and the comment was quickly picked up by the mainstream media. It was found comical by some and condescending by others, but it ultimately stifled the momentum that was driving Romney’s rapid comeback and became known as a major meme of the campaign. Of course, the infographic had to spotlight the “Gangnam Style” music video by Korean artist Psy. Its goofy visuals and catchy dance moves completely charmed audiences and became a pop culture phenomenon worldwide. The video catapulted Psy from Korean singer to global superstar. In addition to reaching one billion views over five months, the Internet meme received the Guinness World Record for the most liked video on YouTube, earned around $8 million for Psy last year, and spawned numerous parodies that made the Internet meme a mainstream marvel. From these four unforgettable moments of 2012, it’s clear that Internet memes have become the modern-day way of capturing the pop culture sensations of our time. With the Web gaining more and more influence in our lives every day, 2013 holds the promise of many more memes that will get people sharing, smiling, singing, and scoffing at the Internet images that instantly become icons. MDG Advertising, a full-service advertising agency with offices in Boca Raton and New York, NY, is one of Florida’s top integrated marketing agencies. Our 360° approach uses just the right mix of traditional and digital marketing to reach your advertising goals. MDG specializes in developing integrated marketing solutions, exceptional creative executions, and solid branding and media-buying strategies that give clients a competitive advantage. Our core capabilities include branding, logo design, creative, digital marketing, infographic development, media planning and buying, award-winning print ads, radio and TV advertising, online video, Web design and development, email marketing, social media marketing, and SEO. View MDG Advertising’s creative advertising portfolio.